Barbados is a Caribbean gem, home to some of the best hotels and resorts, as well as beautiful white sandy beaches and crystal clear waters, not to mention the tasty rum. You will be spoilt for choice when it comes to choosing somewhere to stay in Barbados. 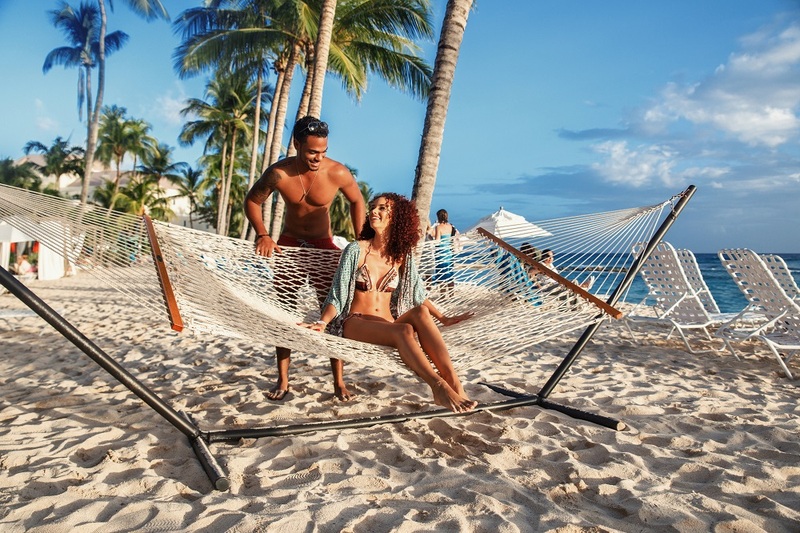 From all-inclusive resorts to independent apartments on the beach, there is somewhere for everyone to relax. To help you plan your dream getaway, we’ve teamed up with Sugar Bay Barbados and Bougainvillea Barbados which will both provide you with the ultimate escape to the luscious island. Take a look at these stylish hotels and you’ll be booking a Barbados getaway in no time at all! Situated on the beach front of the lively south coast of Barbados, Bougainvillea Barbados welcomes guests to the elegant hotel. 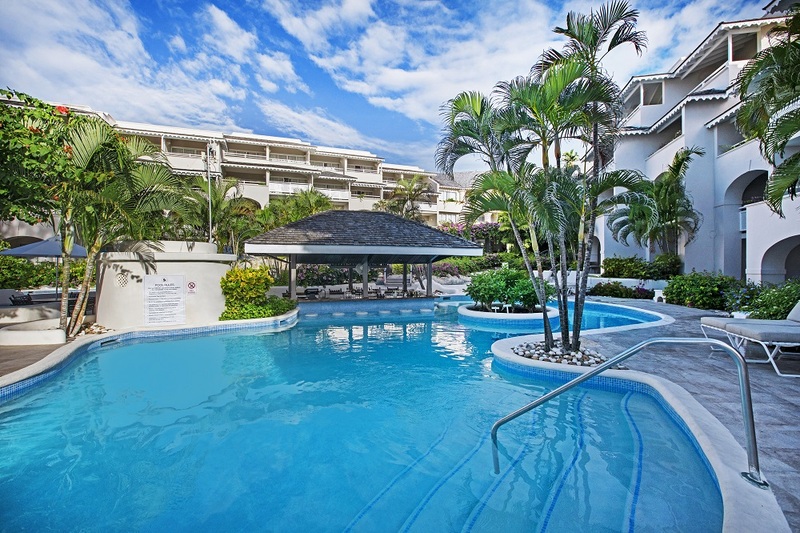 With its great location on one of the island’s most serene beaches, this luxurious and spacious resort is just five minutes from St Lawrence Gap, the entertainment hub of Barbados. There will never be a dull day at Bougainvillea Barbados. With plenty to keep you busy, your Barbados escape can be as action-packed or relaxed as you wish. The resort offers a tennis court, 2 swimming pools plus access to the swimming pool at Sand Acres Hotel, a fitness centre, kids club, kids play park, regular entertainment and a games room. Those looking to treat themselves and indulge in relaxation will be able to do so at Karma Spa & Beauty Salon. The spa offers a variety of treatments and services from private couples massage treatments to renewing facials and scrubs as well as manicures and pedicures. The resort captures the essence and charm of the beautiful and friendly Caribbean island. Its suites include junior suites – perfect for couples and for families the one bedroom and two bedroom suites are ideal. There are also honeymoon suites for newlyweds. 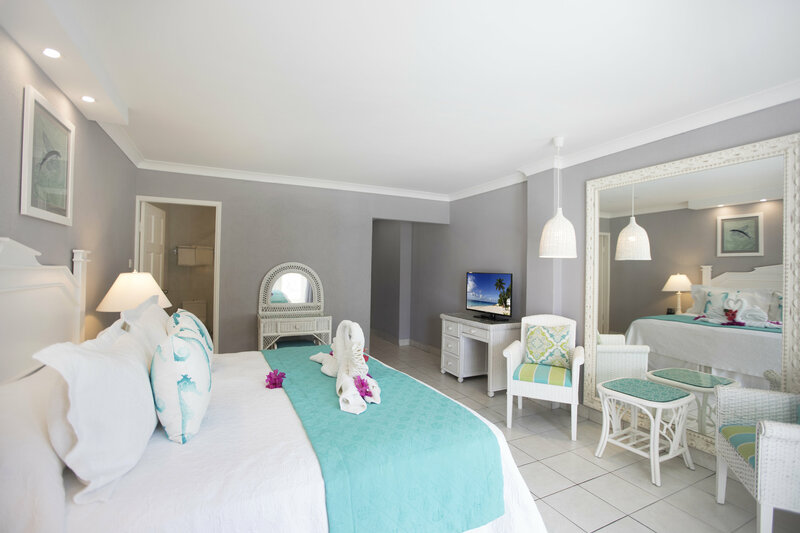 Rooms were totally refurbished in 2017 and all beautifully designed for elegance and comfort and come furnished with living areas, balconies with ocean views and contemporary kitchens. 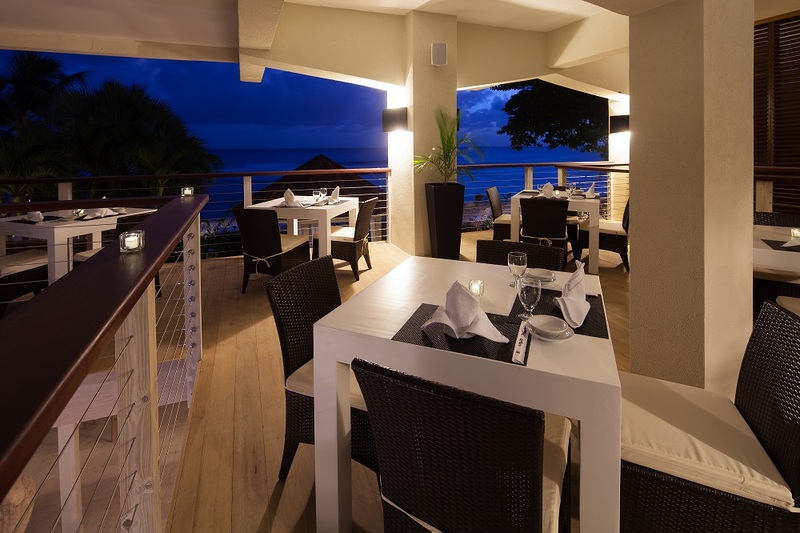 Indulge in delicious cuisine at the resort’s two beachside restaurants. Calabash Cafe is open for breakfast, lunch and dinner and serves up international cuisines with elements of local flavours of Barbados. A barbeque buffet is held on a Monday and Caribbean buffet and a show on Thursdays. Siam Bar & Restaurant takes your taste buds to Thailand with carefully crafted dishes and cocktails, open for dinner only. Room Only, half-board and full-board meal plans are available when booking this hotel. During the summer months, all-inclusive is also available. Our specialist will be able to advise the best package for you during your stay at Bougainvillea Barbados. 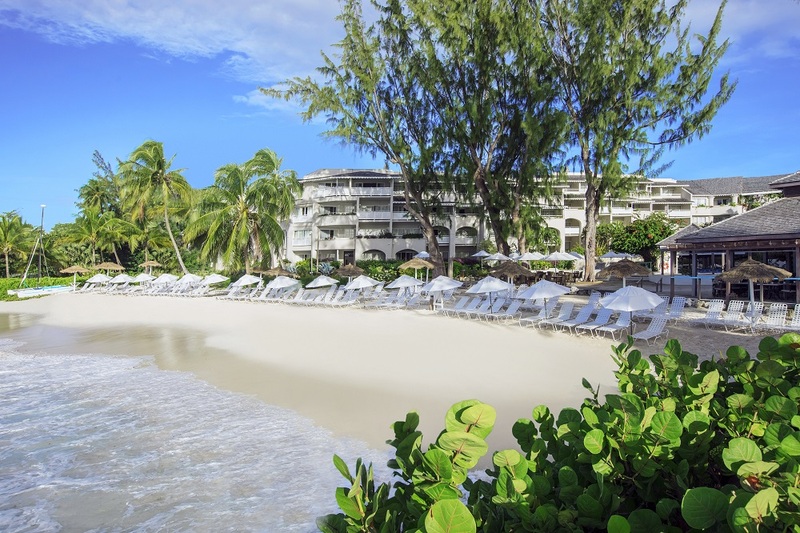 Sugar Bay Barbados is a fantastic boho-chic inspired style all-inclusive beachfront resort in Barbados. Located in the heart of the vibrant south coast, it is a brilliant option for exploring Barbados or simply relaxing in luxury. With its location on the UNESCO World Heritage Site, Sugar Bay Barbados is surrounded by luscious scenery, white sandy beaches and tranquil lagoons. If relaxing in the Caribbean sun isn’t enough for you then there are plenty of things to do on your holiday here. The resort is home to two outdoor pools, and a Jacuzzi to dip your toes into. There are four all-inclusive bars, including a swim-up pool bar at Sugar Bay Barbados all serving premium alcoholic and non-alcoholic beverages to get those taste buds dancing. The resort is also home to water sports, a kids club, playground, spa and salon, arcade and so much more for the whole family. Accommodations range from signature rooms to oceanfront and family suites, all well appointed with flat screen TVs, wi-fi and contemporary bathroom. All rooms are also equipped with a furnished private balcony or terrace, direct dial phone, hair dryers, in-room coffee and tea facilities, bathroom amenities, en-suite bathroom with shower, The White Company amenities, air conditioning, mini fridge, iron & ironing board and an in-room safe. 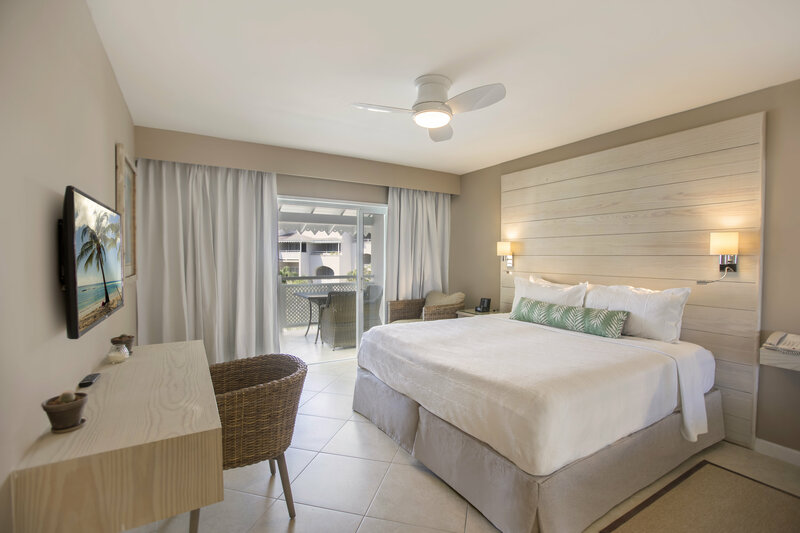 Rooms at Sugar Bay Barbados are the perfect place to rest your head after a long day in the sun. 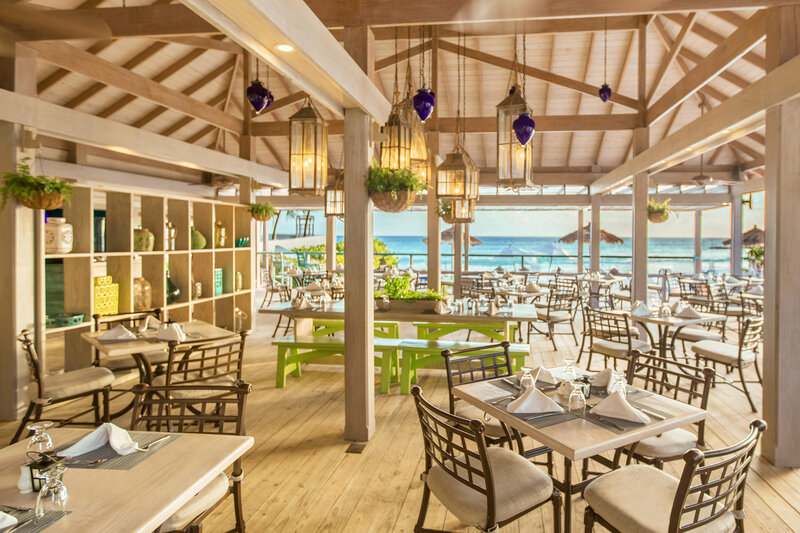 There are plenty of dining options at Sugar Bay so you can make the most of your all-inclusive experience. Sizzle Steakhouse is located in the Sugar Bay Chattel Plaza and you can expect to have your steak cooked exactly the way you like it. This fine-dining restaurant is part of the all-inclusive package, however, some menu items are subject to a sub-charge. You can wine and dine at Sizzle Steakhouse. If you’re a lover of sushi, UMI will definitely be your taste. Step into a unique dining experience where you can expect indulgent menus specialising in Sushi. You can dine at both Sizzle and Umi once per week or a second time for a small surcharge. Reef serves international cuisine with a daily themed buffet and is open breakfast, lunch, dinner and afternoon tea. Colin’s Bar & Grill offers casual beachside lunches and serves delicious cocktails right through the day. What are you waiting for? 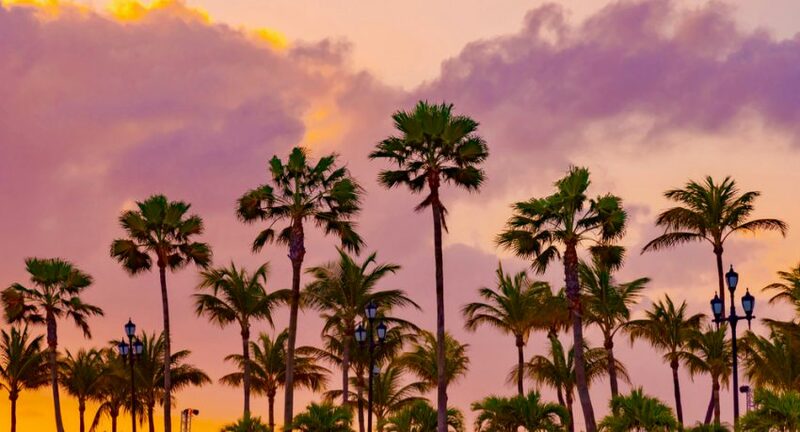 The beautiful island of Barbados is calling your name for your next holiday. At Holiday Genie we can take care of all parts of your package holiday including flights, hotel, transfers and even attraction tickets and experiences! Book your Barbados break today.